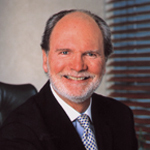 Recognizing that traditional hotel’s ‘one size fits all’ service did not serve the long term business traveller, Thom Vincent pioneered the whole new field of furnished suites in corporate hospitality. For over 30 years, he built Global Travel Apartments with operations in 40 cities around the world. When Interstate Hotel Group bought the company, Thom was appointed President, Corporate Housing Division worldwide. A combination of family responsibilities and contacts at the highest levels of healthcare inspired Thom to tackle and pioneer Balmoral Village master planned adult lifestyle community. Royalton Homes is uniquely qualified to build the bungalows and townhomes of Balmoral Village. This niche boutique builder has built many homes and communities in Collingwood, Wasaga Beach and Blue Mountain over the past many years. Royalton Homes knows the area and has the expertise to successfully develop its unique vision within Balmoral Village. 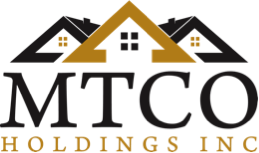 MTCO has worked on many successful retirement communities. An outstanding group of professionals has been brought together at Balmoral Village. There are no shortcuts to excellence, and this philosophy is demonstrated by MTCO’s hands-on approach and attention to detail in every aspect of the development. MTCO takes great pride in working with seniors and their families to design tailored programs and services. Founded in 2004, with offices in Collingwood and Milton, Ontario, Crozier & Associates is a consulting engineering firm focused on private sector land development. This trusted company brings to each project a team of seasoned professionals who are respected leaders in water resources, structural, transportation, mechanical and electrical engineering services. The firm measures their success with client satisfaction. To support this, they have developed “The Crozier Way”: Land Development Engineering from the ground up.